In some cases, insurers offer a fixed lump-sum payment that is less than the full value of an injury claim that is paid over time. Some workers are tempted to take the fixed lump-sum settlement, but this may not the best idea for many injured Boston employees. Some work injuries are exacerbated with time and after taking a settlement, you may need to make a claim for further medical benefits. In most cases, an insurer will require you to make your case for further medical benefits in court. At Pulgini & Norton, our experienced Boston attorneys can help you seek benefits and offer sound counsel on post lump-sum claims for medical benefits. Under Section 48 of the Workers' Compensation Law, an insurer and employee can agree on an amount to be paid in lieu of weekly checks for lost income. If an employee isn't represented by an attorney, this agreement needs to be approved by an administrative law judge before being filed and finalized. This settlement agreement does not prohibit an employee from subsequently filing a claim only for medical benefits where the employee suffers substantial deterioration of the condition caused by the industrial accident, so long as it couldn't be foreseen and is also caused by the work accident. Such claims have to be brought within 1 year of the employee first becoming aware there is a causal relationship between the substantial deterioration and the employment. At that point, the insurer cannot again offer an additional settlement. 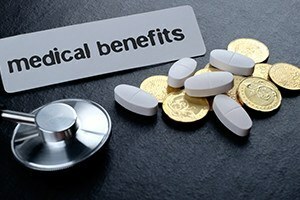 You should be wary of a settlement related to medical benefits if you will require significant future treatment such as an invasive surgery, a permanent disability, worsening symptoms, chemotherapy, or have a dispute injury or illness. That's because once you agree to take the settlement, you give up the right not only to weekly checks but also future medical expenses, which may be more than what the settlement is worth. Employees may misunderstand the nature of a settlement because it is settled with liability. A case settled with liability does not mean that the insurer has admitted the employer's fault and will now be on the hook for future payments. Rather insurers can still deny you medical care that they find unnecessary or unrelated or unreasonable; the treatment they deny might include painkillers, medical devices, occupational therapy or radiology. Often insurance companies offer the settlement in hopes of reducing the overall sum they will need to pay out, and this is the same reason they may deny a later claim. You will need to appear before an administrative law judge to show that the expenses for ongoing care are reasonable, necessary and causally related to the workplace accident. The insurer will be represented by its attorney, and you will likely fare better if you have one, too. If an insurer offers a lump-sum settlement or if you have already taken the settlement and require further medical care, you should consult a workers’ compensation attorney to discuss post lump-sum medical expenses in Boston. We can build strong arguments on your behalf, and help you make informed decisions about your case. The attorneys of Pulgini & Norton represent injured workers in Hyde Park, Andover, and New Bedford. Call us at 781-843-2200 or contact us via our online form for a consultation.